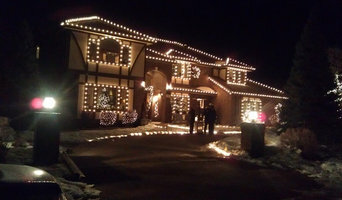 Denver's Premier Lighting Specialists, including, Christmas Light Installation, Wedding Lighting, Event Lighting services in Denver Colorado. Denver Christmas Light Installers. Outdoor Ambiance was founded in 2017 by Jeremy Sanders, Brian Marvin and Greg Arpin – wishing to utilize our extensive backgrounds to transform dreams into reality. Combined, we have over 50 years of industry leading experience across all sides of the green industry and have partnered on jobs with as many as 1500 light fixtures. Our humble home-grown company will travel both within Colorado as well as to out-of-state vacation homes. We pride ourselves on our integrity, flexibility, artistic design, honesty, unsurpassed customer service and engineered lighting solutions. No matter if it’s ongoing maintenance, a $1500 install or a large estate project, every project is special because every client is unique. That’s why our first step in the outdoor lighting design process is a FREE on-site design consultation with you to determine your dreams, concerns and needs for not only your outdoor space, but for your lifestyle. Tell us your vision and we'll make it your reality. At Alpine Edge we’ve been giving homes and businesses beautiful lighting portraits for over fourteen years. When choosing a lighting designer, it is imperative that quality takes precedence. At Alpine Edge, we provide both permanent and temporary lighting design for residences, corporations and special events. When you order a lighting portrait from Alpine Edge, you are always assured fast and reliable service that follows your precise specifications. We understand that your lighting portrait reflects your personality and style: at Alpine Edge, we will design to reflect your unique vision. Alpine Edge is fully insured and prepared to create your lighting portrait regardless of size. Big or small, Alpine Edge guarantees you a terrific lighting presentation that will be the envy of the neighborhood. 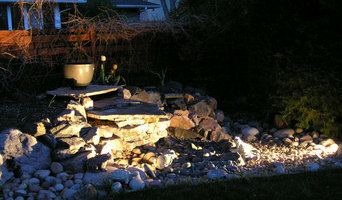 We specialize in Landscape Lighting services in the Denver, Littleton, and Lakewood. Our services include Landscape Lighting Designs, Installations, and Repairs on Commercial and Residential properties. What to see what your house looks like with Landscape Lighting? We offer at home lighting display services. Homenet® We are all things WiFi. Affordable Solutions. After 19 Years of doing corporate IT, and then 5 years doing Pro residential AV. I decided it was time for me to branch out and help people get tech and AV in their homes and small businesses at reasonable prices. Custom work without the custom Price. 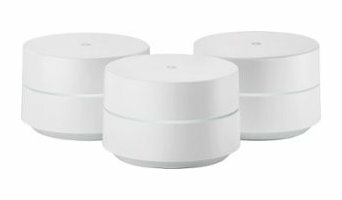 We Sell and install only the finest home Wifi networks, and security products that are based on and used with WiFi as well as wireless audio and SONOS Home Theaters. By using the latest mesh WiFi technology Homenet delivers the best and fastest WiFi you can get. And we do this at fair reasonable prices. See, we don't charge extra for the products. You pay what we pay, not one dime more! We believe that you deserve the newest tech without the high costs of inferior WiFi network products. We do the right IT for Less! From NEST, to RING, and SONOS And a whole host of great WiFi based products Homenet® will get your space streamlined and Online in no time! If it uses WiFi Homenet® can make it work. Call us today or book an appointment for a fast personalized approach to home based WiFi, Security Cameras, Streaming Video, and Small AV solutions. Lighthouse Outdoor Lighting of Colorado is a full-service landscape and architectural lighting design, installation, and service company that specializes in enhancing outdoor living spaces for residential and commercial clientele. Our focus with each and every project is to enhance the four individual principals of quality lighting design. Aesthetics - We recognize that the visual enhancements to the home and property are going to be the priority of most customers. Most of our clients want to beautify the architecture and landscape surrounding their homes. We will expertly design the most effective and efficient system to make your home and surroundings beautiful. Security - When designing your lighting system, we always consider the areas around a home that could be a potential ingress location for those seeking to break in. Properly placed outdoor lighting provides passive security for a property by illuminating the dark corners around windows and doors that could potentially be access for unwanted visitors. Site Safety - It is essential that when designing and outdoor lighting system the designer makes a professional assessment of the grounds around your home to locate and identify potential tripping hazards and elevation changes. Our design will eliminate or mitigate these hazards, keeping you friends and family safe while navigating your property at night. Extended Usability - When an outdoor space is properly illuminated it can be utilized as easily in the evening as during the day. Lighthouse designers know exactly how to light your space to make it warm, inviting, and usable. If you would like to see how we can put your home in the best possible light, give us a call for a fee, no hassle consultation and on-site lighting demonstration so you can see the possibilities of of lighting your property. Specializing in Low Voltage Landscape Lighting Design, Installation, and Service. Denver Audiovisual is an audio visual rental company and event service provider specializing in presentation services and wedding rentals including projector rental, projector screen rental, sound system rental, portable pa system rental, microphone rental, speaker rental, stage rental, and lighting services for meetings, events, parties, and weddings. Solar powered lights and home accessories. Lūme was founded in Denver in 2018. Our dedication to the client, and attention to detail has made us successful in the holiday lighting, home automation, and the live event industry. We're excited to open up this branch of our company. Bringing together passion, functionality, and added value to your home. Many landscape companies view lighting as an afterthought, focusing on sprinkler systems, lawns, hardscapes, etc. Lighting is our primary focus, it’s simply what we do. 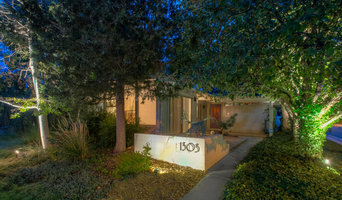 Our goal is to create aesthetically pleasing and livable spaces that extend your home outdoors into the evening. Through this process, creating safety, security, and adding value along the way. We also offer audio and video installations to your project. If you're looking to add some speakers or televisions to your home we can integrate with home automation and most control systems too! Small Space & Studio Design Specialist. What services do Castle Pines North outdoor audio and visual system professionals provide? For the most part, people hire outdoor entertainment system providers for backyard installations. After all, pool parties and barbecues are much more fun when there is music to enjoy. How do they do it? Your Colorado outdoor custom audio system technician can work with your landscape designer or architect to install weather-resistant outdoor speakers, discreetly buried into your landscaping with no loss of sound. Here are some related professionals and vendors to complement the work of outdoor lighting & audio/visual systems: Landscape Architects & Landscape Designers, Landscape Contractors, Decks, Patios & Outdoor Enclosures, Siding & Exteriors. Home theaters are moving outdoors, too. Sports fans can grill without missing the game, and families can invite neighborhood friends over for movie nights. Special weatherized flat-screen TVs are coated to minimize glare. Imagine your Castle Pines North, CO backyard with a custom-designed outdoor theater system — complete with a large projection screen. It makes backyard entertaining easy. Find outdoor audio and visual system professionals on Houzz. 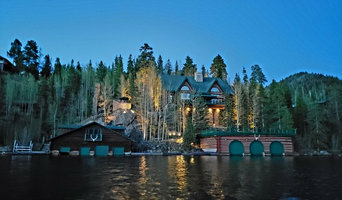 Look in Houzz’s Professionals section to find Castle Pines North, CO outdoor audio and visual system experts. Narrow your search to the nearest city or metro area for a list of nearby businesses. Get contact information, read reviews and look at completed Colorado custom outdoor sound system projects.